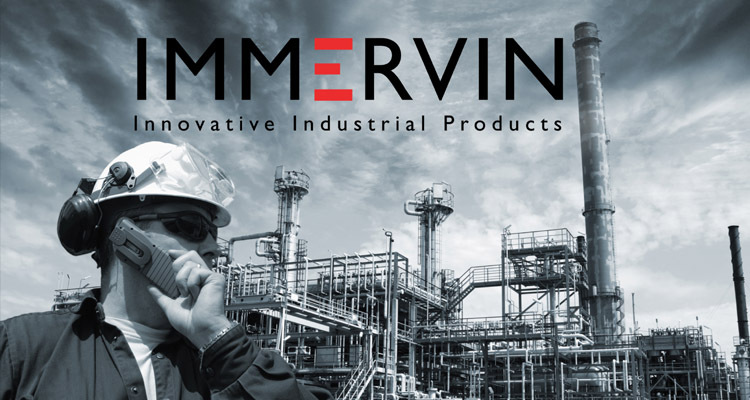 (Pittsburgh - December 3, 2011) Today John Vins, a chemical engineer and formerly employed as a Salesman for Bayer and as Managing Director for Otto Bock; announced the formation of a new company, Immervin LLC. Immervin will be focused on developing new and innovative products that solve industry issues via simplicity and ease of use. Mr. Vins says, "Industrial and commercial markets need new solutions that are simpler, easier to apply, non-toxic, long lasting and that represent a shift that brings dramatic cost savings to common maintenance and repair issues. My background has given me insight into products that are needed, products that can be manufactured successfully in volume, and industries that can benefit from these new products." (Pittsburgh - January 11, 2012) Today John Vins, from a new Pittsburgh company, Immervin, announced the successful development of the first innovative product designed for industrial and commercial markets. 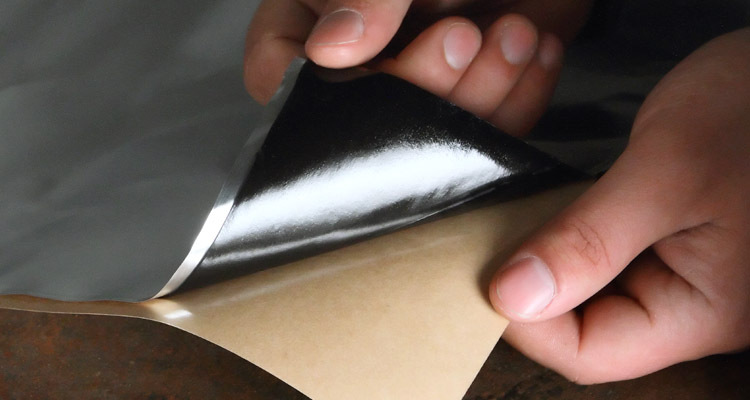 Says Mr. Vins," Immervin is launching its first product, ESeal, which is a product capable of many new instant peel and stick repairs. For this first year we are exploring the industries that can benefit from the cost savings this new product can deliver to some normally costly repair types. For instance, we foresee one of the first applications to be a solution for exterior HVAC duct work rust. ESeal creates a long lasting fix for this problem and we believe that there can be a cost savings impact nationally for these types of repairs. We hope to discover many additional uses for ESeal that help solve repairs faster and easier with dramatic cost reduction." (Pittsburgh - Feb 15, 2012) Today Immervin held the first International Union of Operating Engineers (IUOE) Local 95 training class centered on application of the new ESeal product for commercial and industrial maintenance and repair. 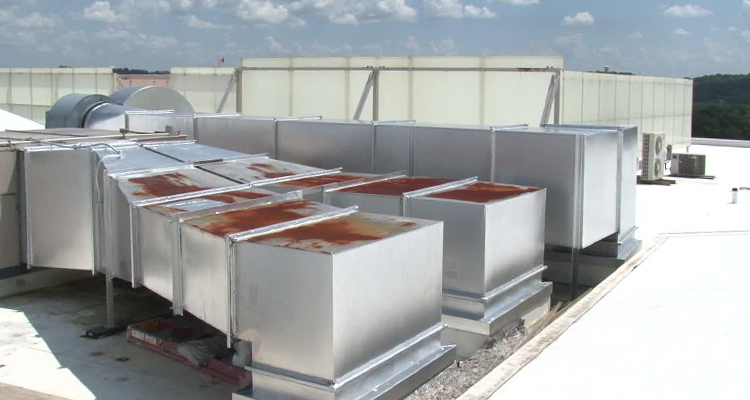 The unique adhesion properties of ESeal were showcased on metal HVAC duct work, plastic and metal pipes, wood, concrete block and stone, and the water proof properties of ESeal were demonstrated. Mike Walton and John Vins from Immervin held the first 4 hour class today centered on helping front lines workers discover new repair solutions enabled by the properties of ESeal. According to Mike Walton, "The classes were a discovery process for Immervin as a wide variety of maintenance engineers from hospitals, universities, commercial real estate and industrial companies provided feedback during training. It helped us understand the wide variety of potential applications for ESeal and gave these workers new repair solutions to use in the field." (Pittsburgh - June 12, 2013) Today John Vins, from Immervin, announced that Oxford Development has signed a contract to use ESeal on rusted HVAC duct work on rooftop units at the Oncology Nursing Society Building in Pittsburgh, PA. Per Mr. Vins, "ESeal was determined to have considerable advantages over all other potential repair solutions, but Oxford wants proof that ESeal works. As a result,they are installing 2,000 sqft of ESeal this summer, analyzing the results after the winter conditions, and then applying ESeal to all rooftop units if the results are justified.We are very happy that Oxford Development has seen enough potential in the long range benefits of ESeal to commit to this first job." Application is scheduled to start in July of 2013 and take only a few days to complete. 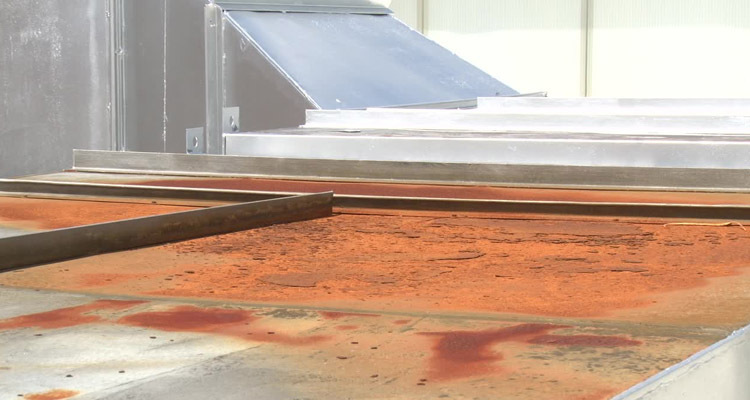 (Pittsburgh - July 15, 2013) Today work started on an HVAC rust repair job ordered by Oxford Development. The Oncology Nursing Society Building contract signed with Oxford in June of 2013 consists of application of ESeal to all surfaces of 2,000 square feet of duct work - rusted and non-rusted - as shown before application to the left. "We expect few issues with the repair since ESeal is a peel and stick repair solution that is easily applied to large areas of HVAC duct. Today it is brutally hot, in the 90s, but ESeal performs well under these conditions. Because ESeal is easy to use, it also presents workers with less application hardships under such challenging conditions." Application is scheduled to be complete within 2 days. (Pittsburgh - July 20, 2013) John Vins today announced the successful completion of an HVAC rusted duct repair job for Oxford development on large exterior rooftop units. The total install time took only 2 workers 2 days for the 2,000 square feet of ESeal installed on sections of rooftop HVAC duct. The project was done on the Oncology Nursing Society building managed by Oxford Development. Oxford Development’s Operations Manager, Mike Stuebgen, offered the following testimonial, "I was very impressed with ESeal. It solved a big problem in a short period of time, without any service downtime, safety issues, or burden on our tenants: and the cost was by far the most economical. ESeal offered many advantages, but as soon as I saw it stick, I was sold." (Pittsburgh - June 6, 2014) Today Oxford Development signed an additional contract to complete repair of larger area of rusted duct on the Oncology Nursing Society Building in Pittsburgh, PA.This was ordered after a 12 month test, started in July of 2013, justified results. After inspections in January and April, 2014, the durability of ESeal survived the cold and severe weather of the past year’s winter months. Results were exceptional with absolutely no wear or deformity to the properties of the installed ESeal product on exterior rooftop duct. 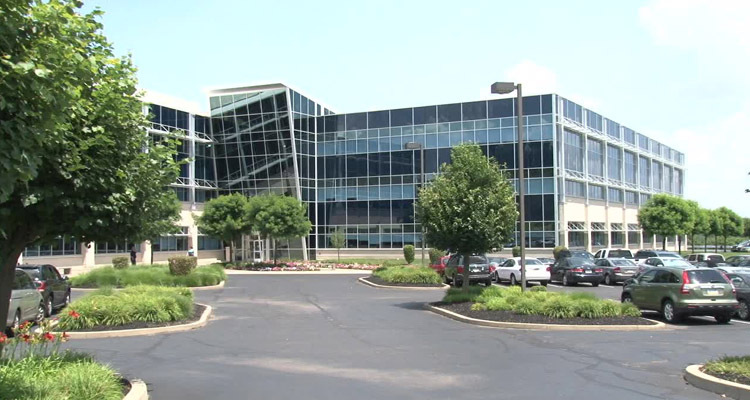 As stated by John Vins from Immervin, "We knew this would be the case, but the client wanted confirmation before completing an additional 3,000 square feet of repairs using ESeal. What actually amazed me is that the only visibledifference after a winter of wear on ESeal was dust. Wipe it off and it looked just like it did a year ago. ESeal is designed to have this same result year after year. It is amazingly durable in the harshest of cold or hot conditions." (Pittsburgh - August 16, 2014) Immervin has today completed a 2 year repair project for Oxford Development that was accomplished by using the ESeal peel and stick solution to solve rust. 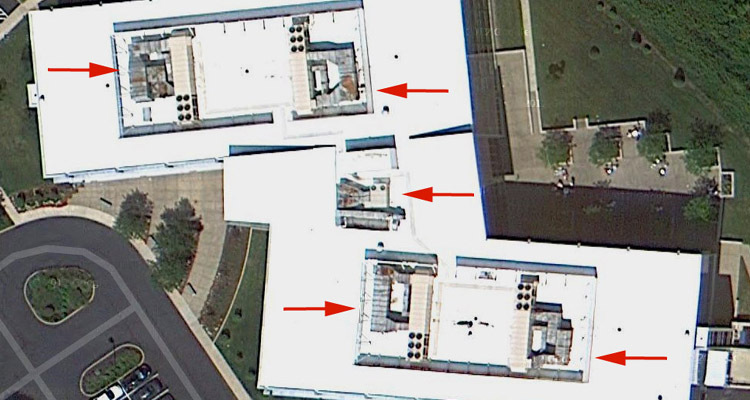 Pictured to the left are the 5 HVAC areas that were completely covered in ESeal, as a solution for rust on top of the Oncology Nursing Society Building in Pittsburgh, PA.
Says John Vins, " This is our first comprehensive exterior rooftop duct repair job where all duct work, whether rusted on not, was covered with ESeal to create a long lasting HVAC solution for rust. This new ESeal option creates a quantum shift in maintenance procedures for commercial real estate companies. 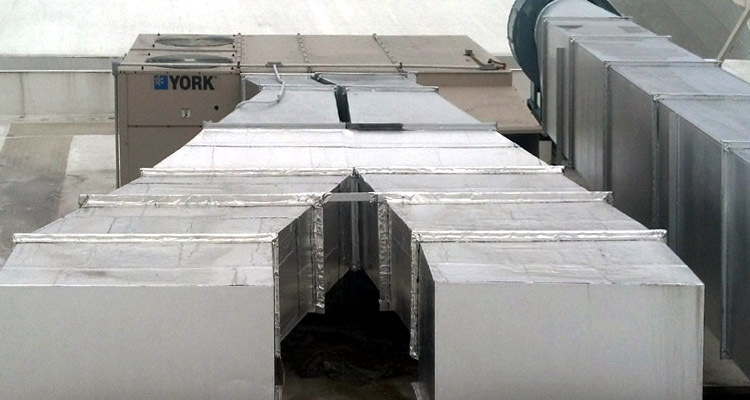 Comparing the time, hardship, and cost of replacing industrial duct work; ESeal will dramatically extend the lifespan of all types of exterior HVAC equipment, with no inconvenience to tenants, minimal labor, and at a fraction of the cost. ESeal offers preventive care that can be applied far in advance of any visible or serious problems with rust. Our hope is that as more property managers become aware of this new ESeal option, as there will be a national impact that helps commercial property companies add greater profitability by reducing repair and maintenance costs both short term and long term." 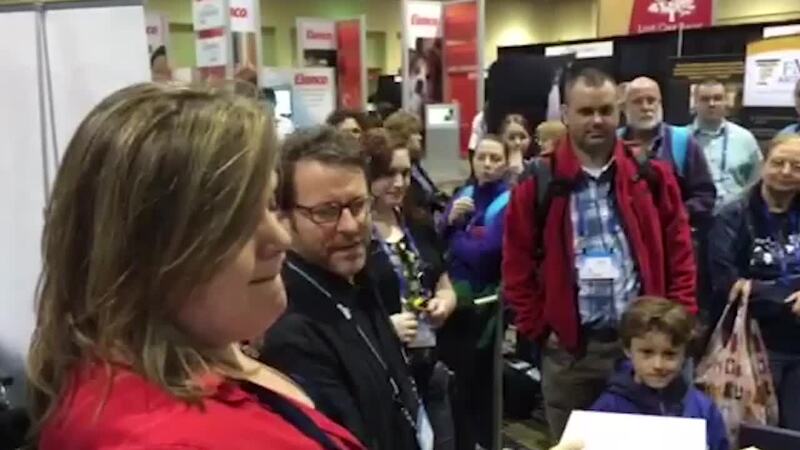 A great crowd shows up for the end of conference drawing to win a TAB 3 prize. Thank you to all attendees at our booth this year. We really enjoyed getting to know all of you and listen to your ideas about applications for HemoHold. Thank you for all the requests for samples!